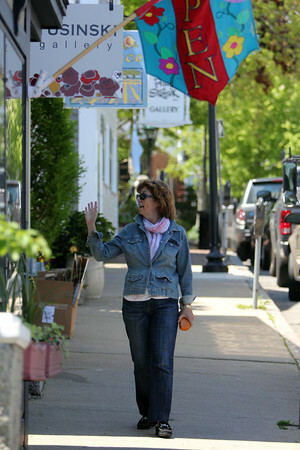 Karen Berger, chair of the town-owned art committee, who led the effort to achieve the cultural district designation in Rockport. She is walking downtown within the cultural district. Photo by Allegra Boverman.